Mosquitoes are actually a family of small midge-like flies. A few of the species are harmless (and a small few are useful) to humans but most are a nuisance because they consume blood from vertebrates, including humans and pets. The female are generally the blood eating gender of the species. In feeding on blood these mosquitos transmit extremely harmful human and livestock diseases. Including: malaria, yellow fever, filarisas, West Nile virus, Encephalitis and heart worms. 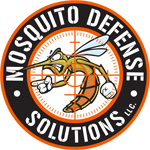 Keep your family and home protected this year by investing in mosquito control Houston and a mosquito misting system with Mosquito Defense! Contact us today for a free quote! There are approximately 2,700 different species of mosquitoes throughout the world, and the United States is home to 150 varieties. Species will vary in appearance, location, feeding habits, and in their threat to humans. Most common species found in the United States and Canada: Asian tiger mosquito (Aedes albopictus), it is associated with the transmission of dengue fever, eastern equine encephalitis, and heart-worm. It is a small mosquito with distinctive white scales on its thorax, and black and white scales on its abdomen and legs. It is an aggressive daytime biter. Northern House Mosquito (Culex pipiens), it is the most common species found in urban areas. It is believed to be primarily responsible for the transmission of the West Nile virus to humans, birds and other mammals. It is brown and has white markings on its legs and mouth parts. It prefers to attack at dusk and after dark. Anopheles quadrimaculatus: It is the chief carrier of malaria in the eastern, central and southern United States. It is brown and has three long projections on its head. There are white patches on the wing-veins of many of the more dangerous anopheline mosquitoes. It is active after dusk and just before dawn. There are many mosquito species found throughout North America. These are the top 3 most common found in United States and Canada. Cold Winter Kills Mosquitoes, but Not the Eggs: What’s the Solution?